The Miller-Ranch is a breeding facility geared to the Standard of the Breed as documented by the Missouri Fox Trotting Horse Breed Association (MFTHBA). 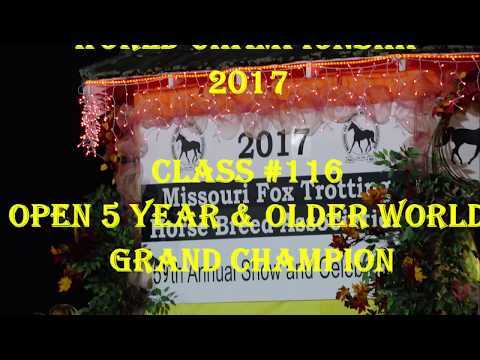 The standard of the Missouri Fox Trotter is published in the Judging Video of the National Breeders Cup Organization. The mare, shown there, representing the standard, is “Missouri’s Anne Rue”. She was born June 3, 1990, bred by Helen and Wayne Jones in Missouri. The Missouri Fox Trotter has an average height of 14 to 16 hands and weighs, depending on the size, between 880 – 1300 lbs. The ideal Fox Trotter gives an overall impression of balance and symmetry and should essentially fit in a square box; this means that the horse should have matching and equal parts both front to back and side to side. This combined with a long angular shoulder of 45 to 50 degrees, a short back with a strong loin, a long angular croup and centered withers reaching into the back, will ensure athletic ability, long term soundness and trainability. A well-developed deep chest, legs that are not too long and strong muscles will enable him to carry a rider of substantial weight over long distances. The feet should be hard, well-formed and be an appropriate size to the overall appearance. The head should be well formed, refined and taper to a muzzle that has large open nostrils. The ears should be well formed, of appropriate size for the head and matching in size. The eyes should be large, bright, kind and soft, indicating intelligence and a well-tempered disposition. The natural elevation of the head and tail give the Fox Trotter a graceful appearance. The hair is soft and silky. The ideal Fox Trotter carries the rhythm of his gait through his entire body. The head is supposed to nod softly with the rhythm of the gait and the ears should also reflect the rhythm of the horse’s gait. The gait is supposed to be flat, smooth and consistent over a long distance. Up and down movements should not be detected; instead the soft sliding action of the horse’s feet should deliver a smooth effortless gait. An ideal Fox Trotter should not only impress one with his performance and versatility, but also with charm, character and correct conformation – he should also be beautiful. All colors and markings can appear. Miller-Ranch is eager to meet this specified breeding goal with all the requirements met and to breed a performance horse. The Fox Trotter should bring the rider to his destination quickly, smoothly and with endurance over long distances and rugged terrain. The Fox Trotter should be confident and courageous. Thus, Miller-Ranch Fox Trotters crossed the Grand Canyon in 2003 from the North to the South Rim with riders from Europe and 10 Missouri Fox Trotters. This was the first time that riders traversed the North Rim with horses. Following published Standards, the Show ring also sets a criterion for the breeding of Missouri Fox Trotters at Miller-Ranch. With a balanced proportion of Performance and Versatility, it serves to achieve the desired breeding goal to preserve the versatility as well as the capability of the horse in open country. The breeding and training goal of Miller-Ranch is defined as required in the Rule book and Standard of the MFTHBA. 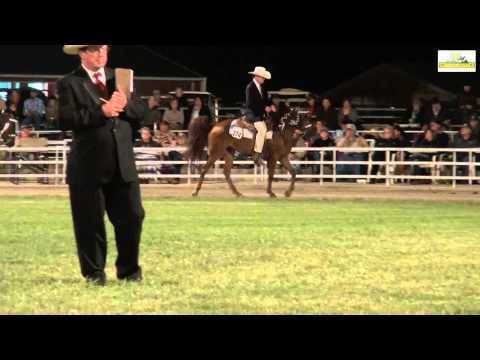 “Anne Rue” has demonstrated how a Fox Trotter should be shown in the show ring. 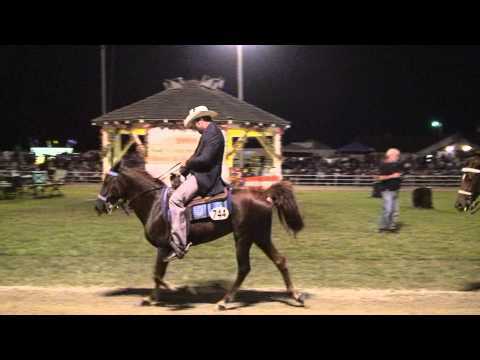 The mutations shown at the World Championship and Celebration, especially in 2009 and 2010, are not the goal of Miller-Ranch and we have publically denounced and disassociated ourselves from the acceptance of these performances by the MFTHBA and their Judges. Missouri Fox Trotter - Leonard´s Cuba Libre M.R. Leonard's Cuba Libre M.R. is a gelding from the top luxury class; one has to look quite a while to find such a fine horse. Once found, you normally would never separate again. Whether in open terrain or in a show it comes down to being simply fun to ride him. In the video he shows what he has learned and what a good Missouri Fox Trotter has to look like. 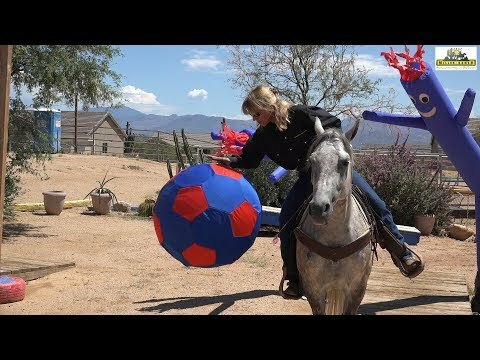 This is a horse to have fun with -- plain and simple. Velvet´s Black Tattoo M.R. 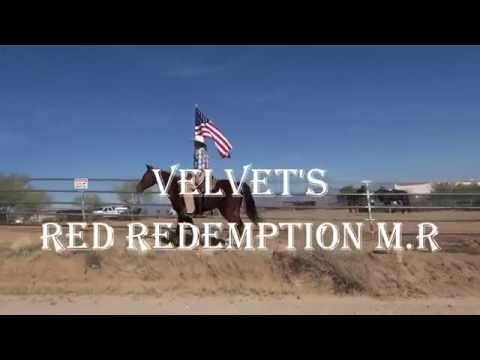 is breed, raised and trained at Miller-Ranch, Arizona. Your can ride him just with a littel weight cue. 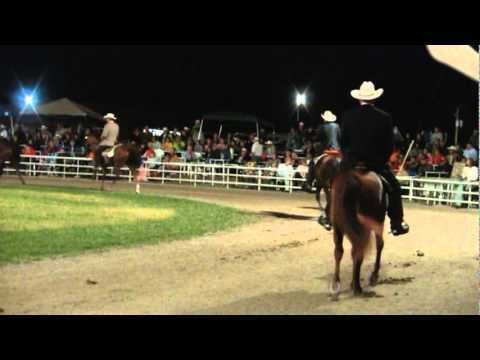 See what a rider are able to bridle less. Highlights from the Missouri Foxtrotter MFTHBA World Championship 2009 give your comment to foxtrot@mfthba.com Go to http://www.miller-ranch.com and see the foxtrotters what Miller-Ranch are raised and trained. Missouri Fox Trotter Mare "Velvet´s Bambina M.R." A very nice Foxtrotter, bred, raised and trained at Miller-Ranch. Rider is Robert Keick from Germany. 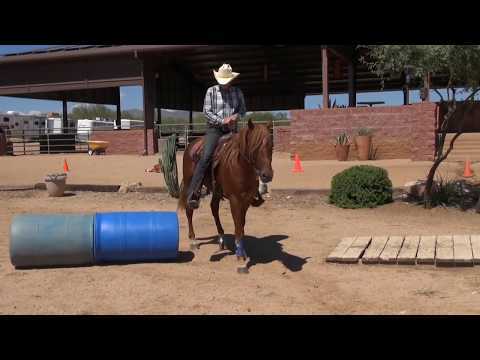 Watch other training results of horses at www.miller-ranch.com. Another Missoruri Foxtrotter from Miller-Ranch. He is ready for the trail. 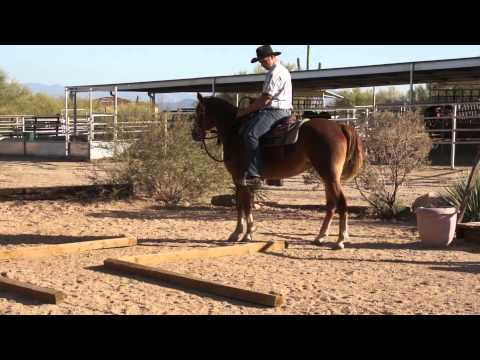 This is a very talented horse with natural gaits and the correct rhythm. Now the work with the bit will start to make of a good horse a perfect one. See more under www.miller-ranch.com. Legend Outlaw's Maximus M.R. - with Julia Schaefer meeting all requirements and demands in a European High Point Tournament- in perfection. The result in the Missouri World Grand Championship 2017 Class 116, 5+ Open is published. In the Rule Book: Judging a 3-Gait Class: 40% to the foxtrot, 20% to the walk, 20% to the canter, 10% to conformation and 10% to EQUITATION. 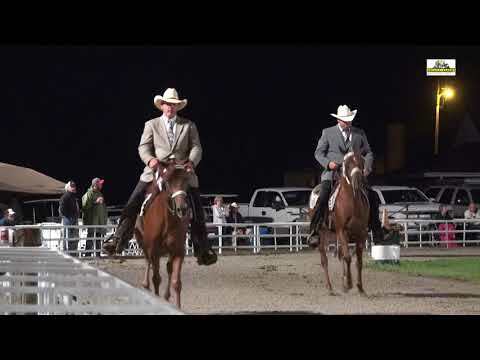 Here the Judging for Class #116 : Judge Roderman 1st place # 798, - 5th place # 287. Judge Jones 1st place #798 ,- 5th place # 287. Judge Hickman: 1st place #798,-4th place #287. Judge Lynn 1st place # 798, 2nd place # 287. Judge Hightower: 1st place #287, -3rd place # 798. 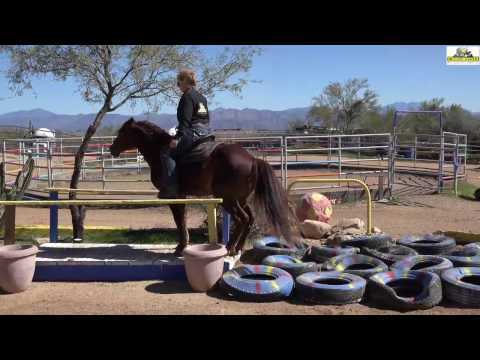 Jumping Lady M.R., bred, raised and trained at Miller-Ranch. "Lady"sire, a son of GMC Black Velvet was born in Germany and came back to the US, more details on www.miller-ranch.com. 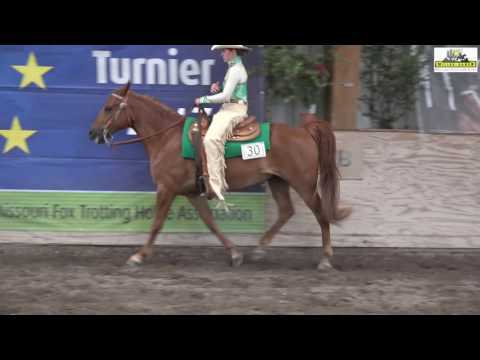 This mare has the gaits, the rhythm and the conformation for the show.